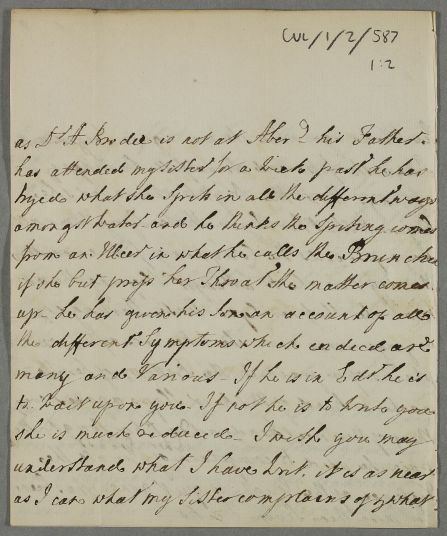 Letter from Anna Innes concerning the case of her sister Jean (Jane), who has a hectic cough (consumption). 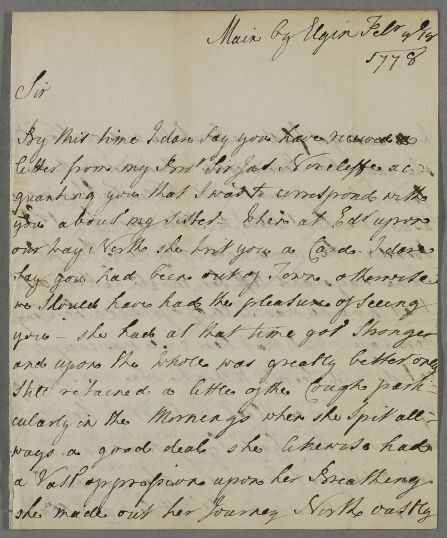 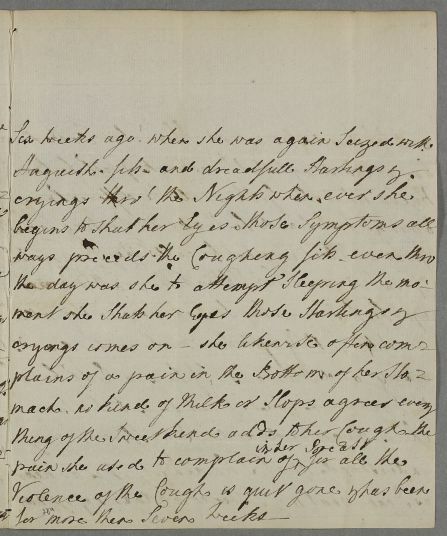 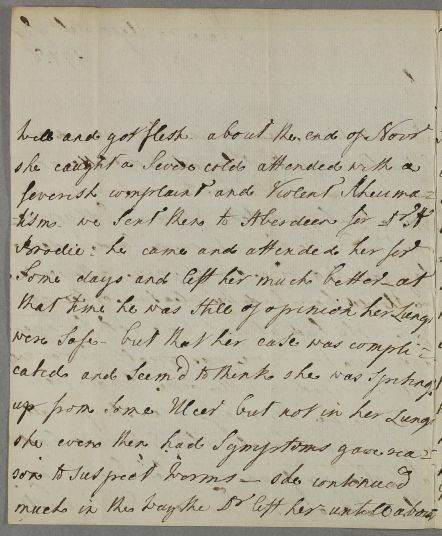 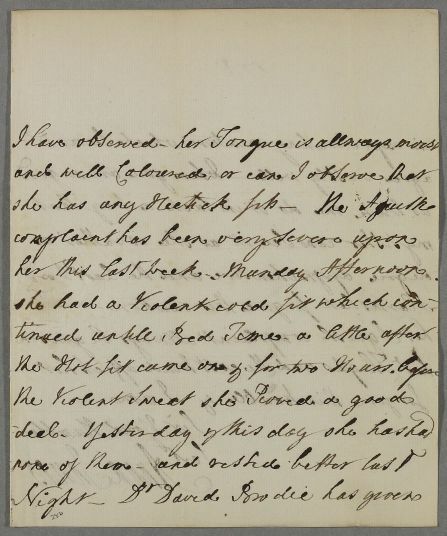 Summary Letter from Anna Innes concerning the case of her sister Jean (Jane), who has a hectic cough (consumption). 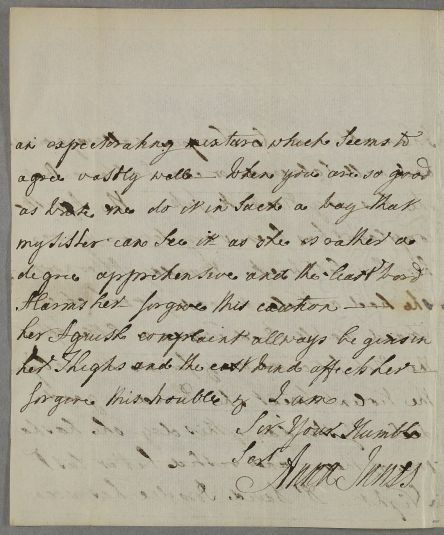 tisms. 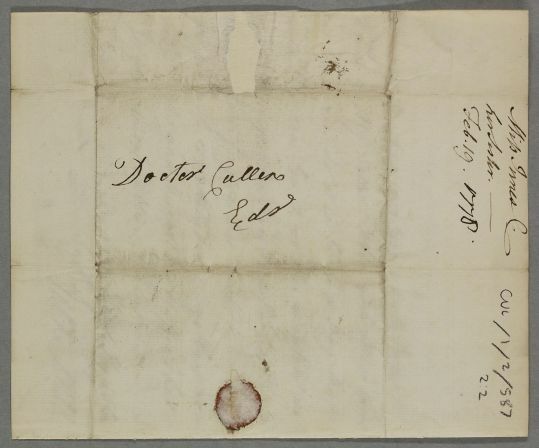 We Sent then to Aberdeen for Dr H.